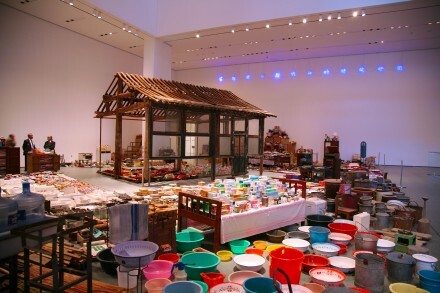 The Groninger Museum in the Netherlands has gained an enormous installation, filling up much of their open space with the household items and various collectibles of Waste Not, the collaborative installation created between Chinese contemporary artist Song Dong and his mother, Zhao Xiangyuan. The work is centered around the artist’s mother, who dealt with numerous hardships during her upbringing in China, and how she began to cherish and hoard all of the objects, detritus and material she acquired during the course of her lifetime. Waste Not, previously presented years ago at the Museum of Modern Art, is a highlight of Song Dong’s work, emphasizing his modes of interrogation into the elements of the political, historical and domestic as they play out in the average citizen’s life. Here, his collaboration with his mother enables a glimpse of his own life, while tracing lines of political history as they have played out in the homes of everyday Chinese people. The exhibition takes a central place in the artist’s retrospective exhibition, a core work that offers a strong glimpse at many of his ongoing thematics. The artist’s mother and her prosperous family was challenged after the establishment of the People’s Republic of China. Her father was an officer for the Chinese Nationalist Party but, upon their defeat in 1949, was forced into exile in Taiwan by Mao Zedong’s orders. When Zhao moved with her family to Beijing in 1950, her father was arrested on charges of espionage for his time in the Nationalist Party. A few years later, her mother passed away. From that point through to the mid-1970’s, millions of Chinese people lost their lives or were reduced to poverty due to Communist social and economic campaigns such as the Great Leap Forward, as well as the through the violence and political manipulations of the Cultural Revolution. Zhao’s family was reduced to poverty, forcing her to adopt the Communist code and live a thrifty lifestyle. 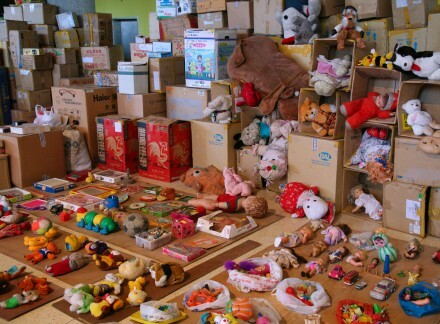 From that point on, she continued to thrift, collecting countless materials and objects in her home. As Zhao’s children grew up watching their mother continue this pattern, they decided it was time to intervene and end her obsessive hoarding. 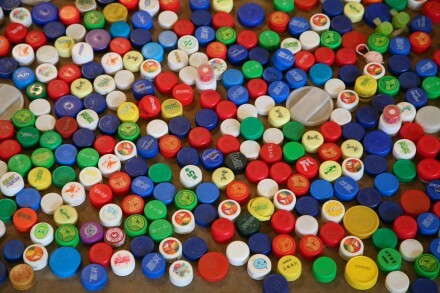 Rather than trash her decades of savings, Song Dong and his mother decided to recycle her collection and turn it into an installation, Waste Not. 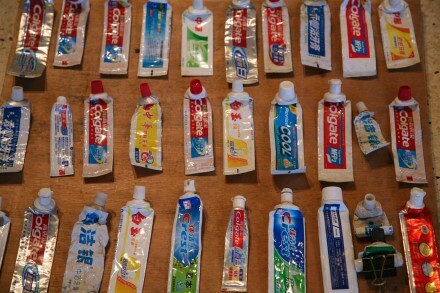 With more than 10,000 documented items, all of Zhao’s belongings were organized by function. 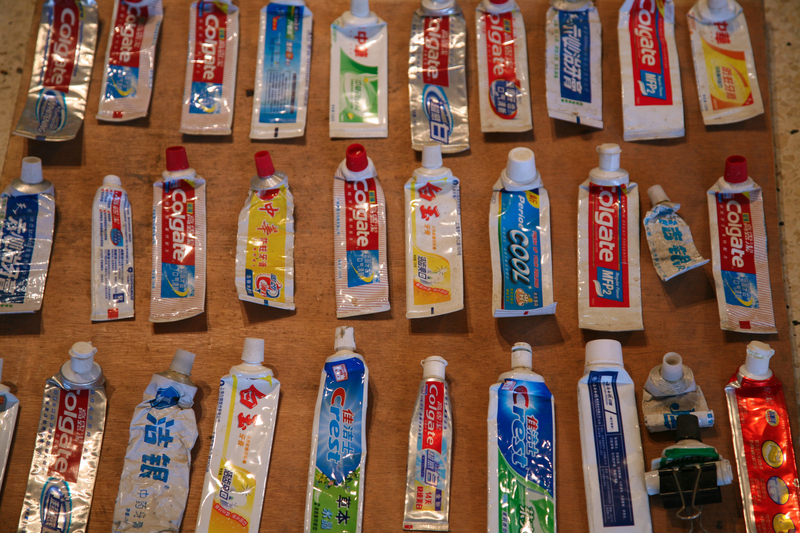 Zhao’s collection includes pens, plastic bags, bottle tops, china, toys, containers, cutlery, toothpaste tubes and more, all arranged in highly organized rows and stacks around the timber frame of a house, the central part of the installation. 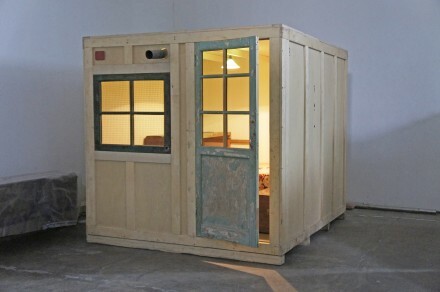 The exhibition also includes a number of other works that follow similar lines of historical representation, including My First Home, a shipping container that shares the same dimensions in size as his childhood home, commenting on his early upbringing and the notions of transnational commerce that has built China’s vast wealth. Song Dong’s exhibition will be at the Groninger Museum in Groningen, the Netherlands until November 1, 2015. This entry was posted on Monday, September 28th, 2015 at 12:00 am	and is filed under Art News, Events, Featured Post, Show. You can follow any responses to this entry through the RSS 2.0 feed. You can leave a response, or trackback from your own site.